Osaka Aquarium Kaiyukan is illuminated with 1.2million lights featuring themes of the sea and sea creatures. 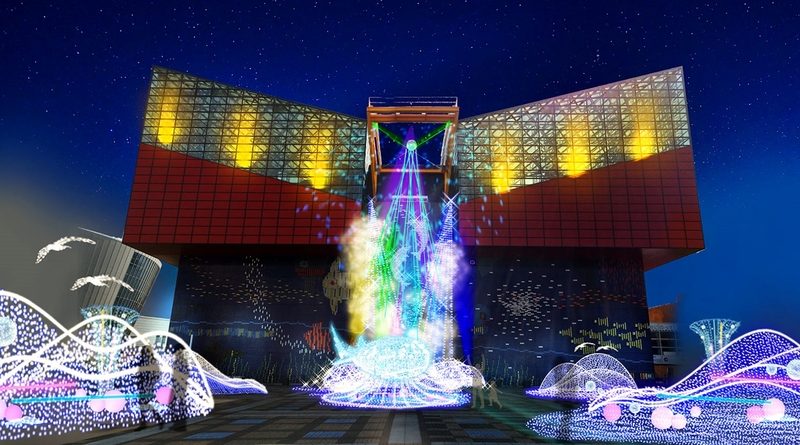 You can see wonderful illumination at the open space in front of Osaka aquarium Kaiyukan. Access : 10-minute walk from Osakako station on the subway chuo-line.